When we planned the trip, we both picked a country that was totally OUR country to plan. Mine was india, and Kelly’s was the Philippines. As she’d also be celebrating her 30th here, we had to make sure she had something epic to celebrate! When we’ve talked with other divers and told them we’re heading here, literally all have said two places are essential to visit; Coron for shipwrecks and Malapascua for diving with Thresher Sharks. 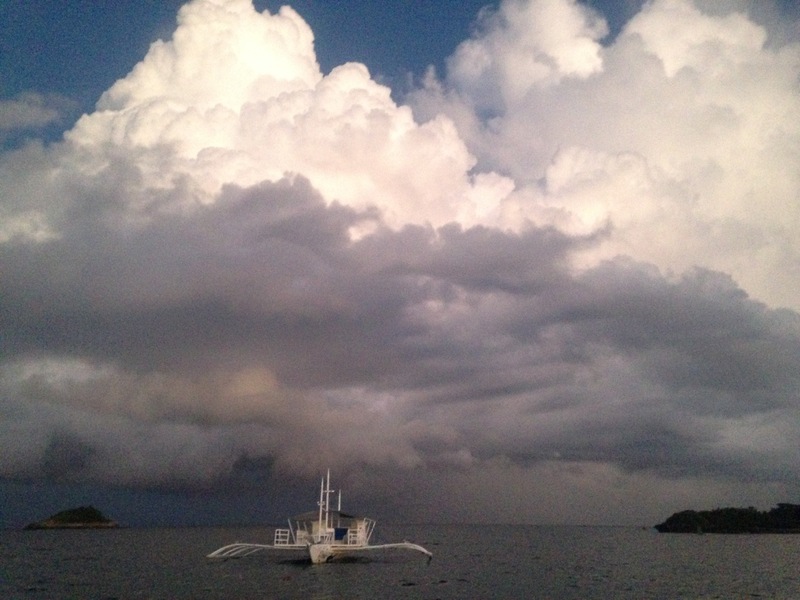 So after heading south to Cebu from the dark and dreary Boracay, we agreed to head north to Malpascua immediately. 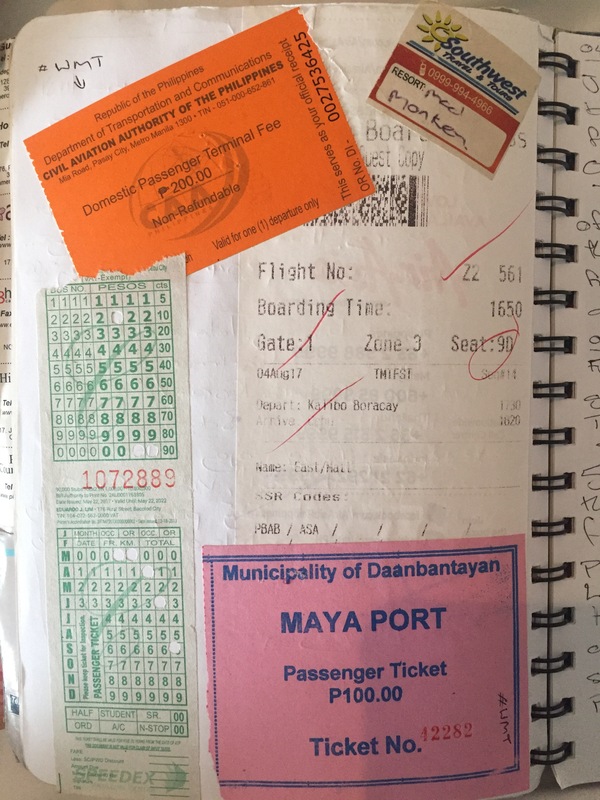 As ever In the Philippines, the journey there was fairly arduous and stressful journey. After a whole day traveling involving a bus, a plane, another bus, and 3 boats (each journey with additional taxes and hidden costs of course) we arrived to the tiny island! Immediately though, we knew we’d be happy here. 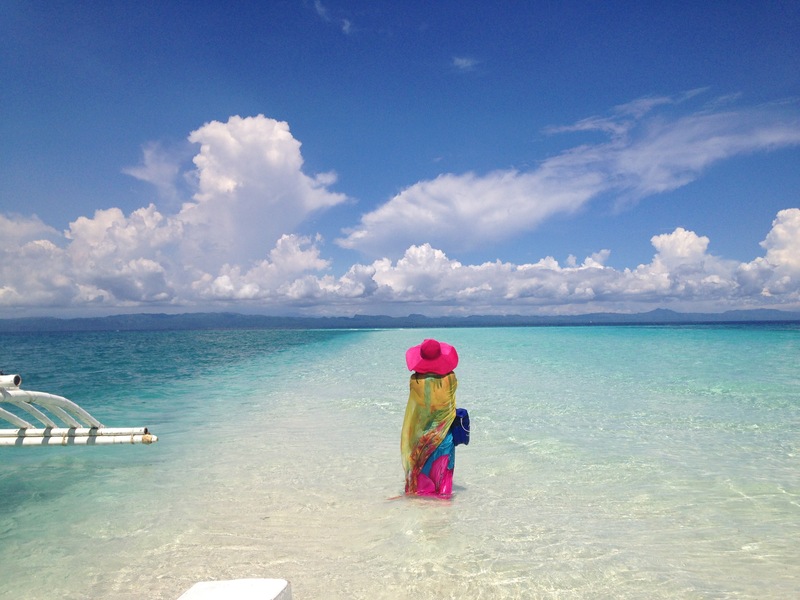 Because Malapascua is a destination almost entirely for divers, many people don’t make the laborious journey. After all, there’s amazing beaches everywhere in this country! For this reason, and the fact it’s low season meant the whole island was super quiet! 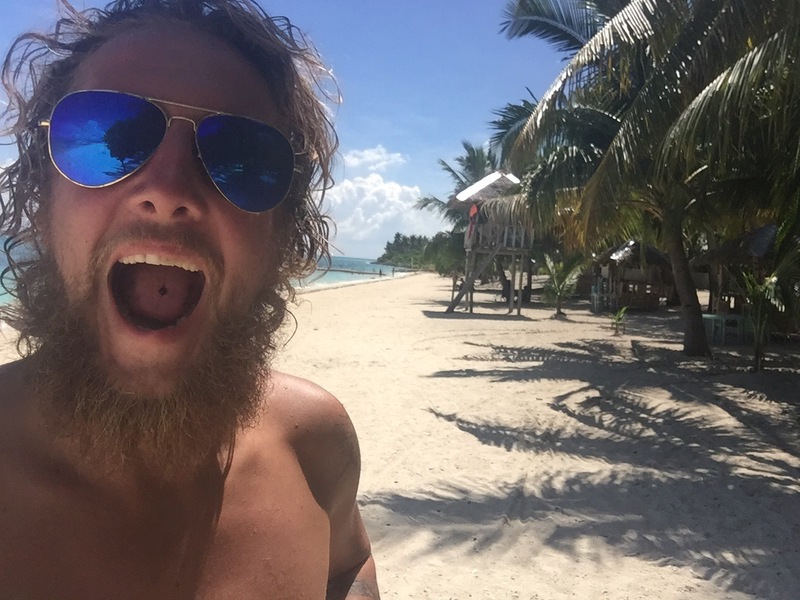 We ended up finding a place to stay right on the beach where we were the only guests right next door to the dive school we’d researched in advance, and immediately settled into the chilled atmosphere on the island after a quick walk around getting the lay of the land. 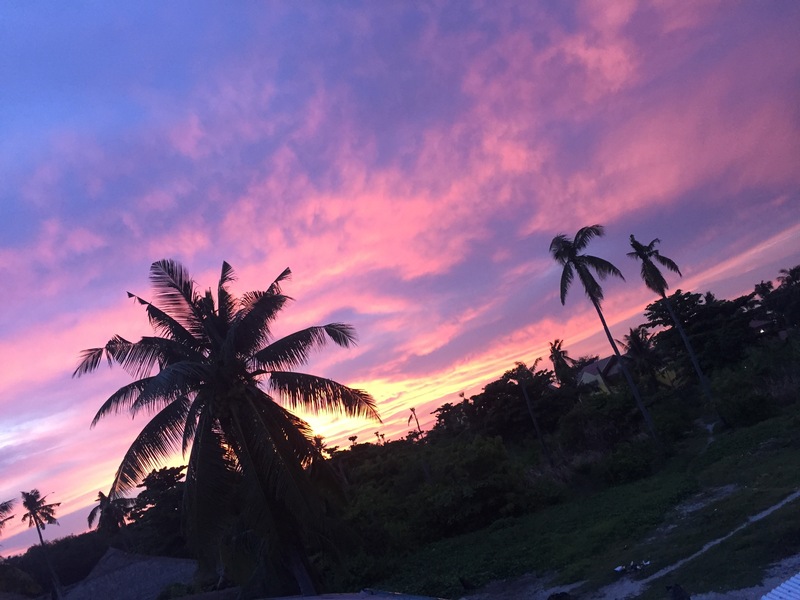 The lay of the land was simple; a village in the centre of the island for the locals, stunning and relatively untouched beaches surrounding the outskirts, and a couple of restaurants along the beach front. We were greeted by the classic island ethos from the locals too; total chill and a general slower pace to life; totally up for that! Because it was just so quiet, it was complete and utter bliss! Spending a day on a beach was such a contrast to Boracay: almost no lookie lookie men trying to sell us stuff, zero noise pollution, and barely any boats revving engines apart from at key dive departures. Alongside this, there was almost no pollution in the sea or on the beaches; a nice change from what we’ve seen far too regularly on this trip. 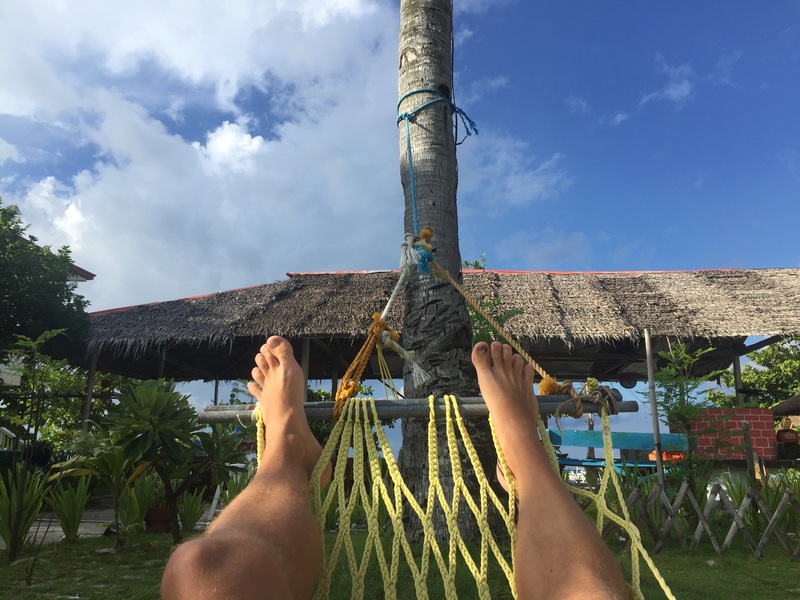 Doing nothing apart from read, snorkel and chill for our first day was just what the doctor ordered, especially when we discovered the next 4 days would involve 4am wake up calls for early morning dives! It also massively helped the weather was perfect throughout our time here, apart from late night and early morning storms. Here’s a video from one of my favourite travel bloggers showing how awesome this place is. Malapascua is a very unique experience for divers. It’s famous primarily for the Thresher sharks, who travel daily to higher seas to be cleaned by smaller fish (known as a cleaning station). Thresher’s are normally deep sea sharks, so are rarely seen whilst diving. What makes these guys totally unique is their tail, which they use to whip their prey before eating them (they create an underwater sonic boom to knock other fish out: the only shark to do this). Thresher’s can really only be seen in a few places in the world, so this place is pretty special. To top this, you can dive through a tunnel that runs under an island, a drift dive, a muck dive, a coral wall and even a shipwreck, this really is a divers Mecca! Needless to say when planning this part of the Philippines, this was obviously the perfect spot for birthday celebrations. Kelly’s parents very kindly paid for a dive package for Kel, and Thresher Shark Divers (TSD, who we ended up booking with) very kindly gave Kel all her equipment for free as it was her birthday, saving us a good wedge of cash. 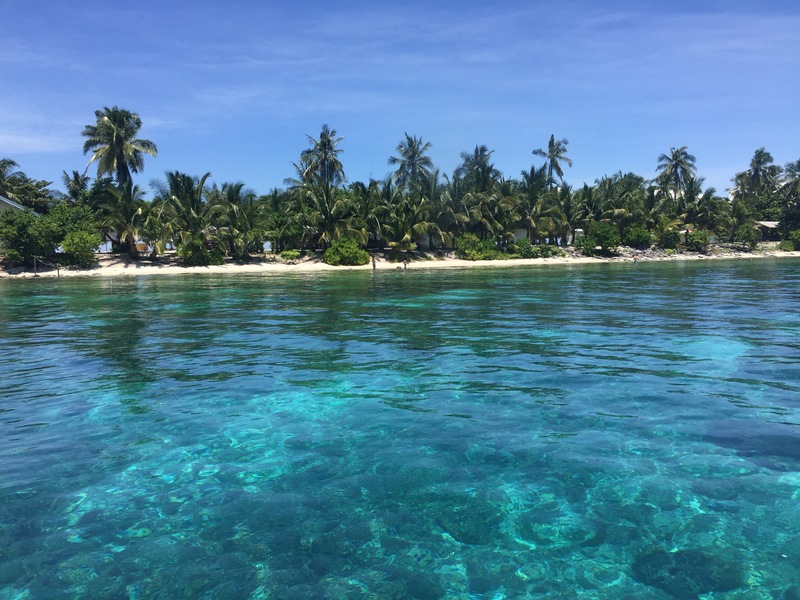 The focus for the next few days was certainly more under water than on top, but unlike many dive excursions we’ve done, I was actually able to get involved, going out on the boats with the divers to the sites to have a cheeky snorkel. This was really nice as it meant I wasn’t totally excluded, and got to enjoy the beautiful trips across the pristine ocean. Obviously though, I avoided the dive trips before sunrise 🤣. 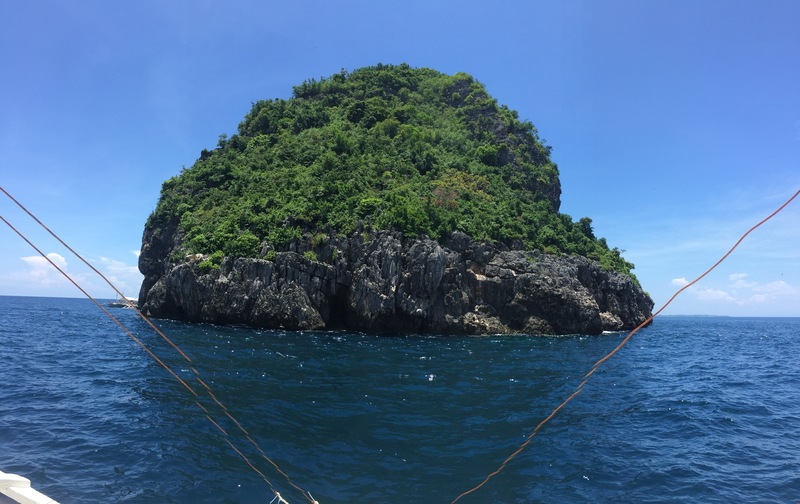 On Kelly’s first day diving, the morning trip was to Gato island, a tiny lump of rock in the ocean that’s only inhabited by sea swallows. 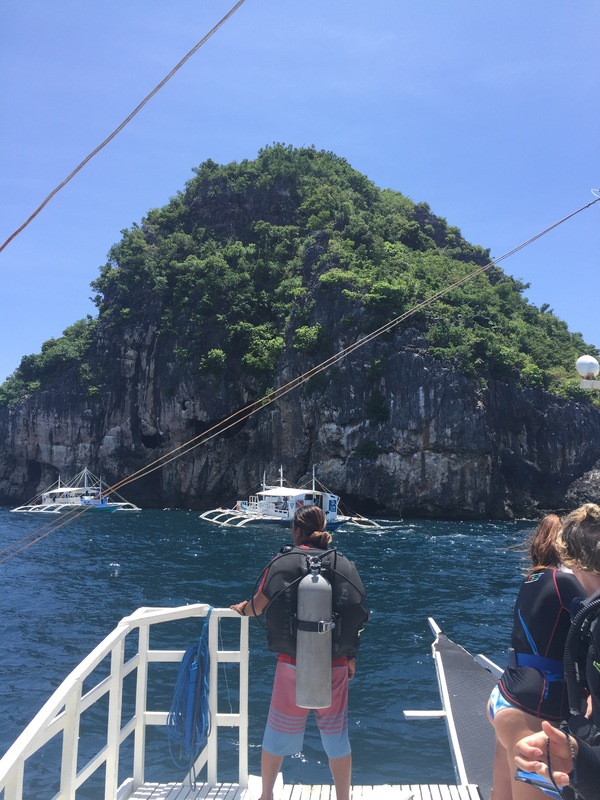 The real treat was 30m down though, with an underwater cave/tunnel surrounded by coral, and a coral garden that apparently turned into a drift dive. When she surfaced after both dives, Kel looked like an excited child, as she’d seen such a great abundance of coral and sea life, including sea horses, cuttlefish, sharks hiding under rocks, sea snakes and some really weird and unique crabs! For me, being on the boat was utter bliss. Taking a break from my book to soak in the scenery, I was totally blown away by the peacefulness surrounding me. There was literally nothing anywhere near us, and the sea was so flat it almost looked like a layer of glass coated it: Utter bliss. The next day the boat ran the divers out to Lapus Lapus island for a drift dive. Kel had never done a drift dive before, so she was super excited! It’s basically going down and watching the sea just shoot past you. From how she described it, there was so much going on she couldn’t keep up with everything, especially as the current was so strong. Looking at videos of other drift dives in the Philippines I can’t believe how quick the current throws divers! This video isn’t from our footage (that’s already backed up so can’t make a video that easy) but it gives you a good idea of what it’s like. 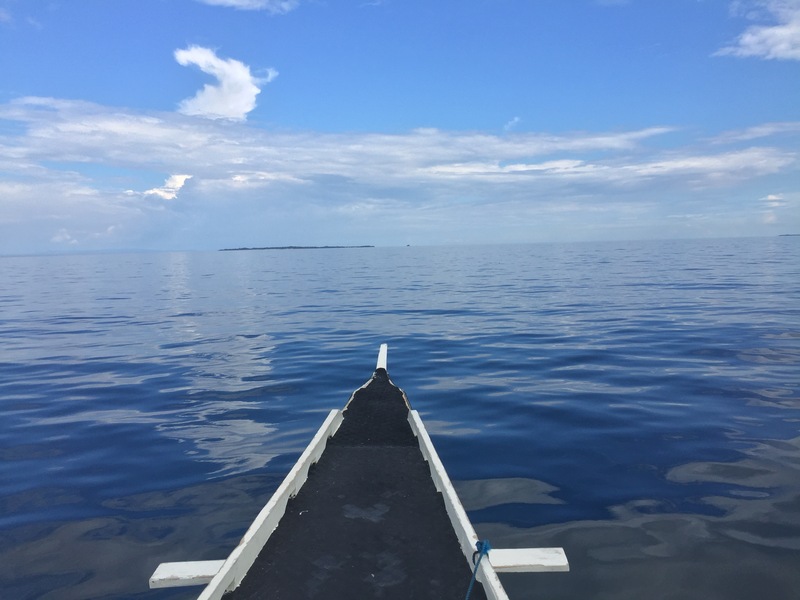 On the third day, we both jumped on the boat and ventured to Calanggaman island, a tiny drop in the ocean pretty much untouched apart from a few temporary buildings. This whole area is a marine park so is beautifully kept, and you really can tell. Kelly did another dive, this time a wall dive. Again, she was blown away by the sealife on show, this time all Marco (teeny tiny stuff), from sea horses to nudibranchs surrounding coral in great condition. Following her first dive we spent a couple of hours on Kallanggaman, which was utter paradise. Again, low season really worked in our favour as there were only a handful of boats on the Island. The beaches were beautifully kept, I’d even go as far to say immaculate, whilst the sea was a stunning teal hue thanks to the shallow banks. This is the closest we’ve come for some time to being totally secluded, and surrounded by nothing but palm trees, coral, and not much else. The boat ride there and back was unbelievably relaxing too. Again, we were riding across a weirdly calm ocean with barely any waves or swell. I’d probably go as far as saying I’ve never seen such a calm ocean. 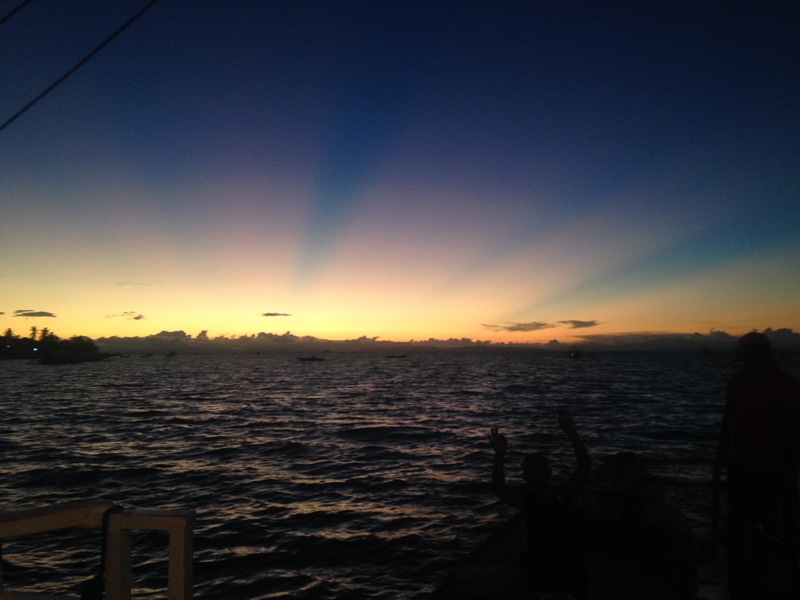 On the final day, Kelly did the obligatory 4am wake up for the thresher dive just before we left and ventured back to mainland. 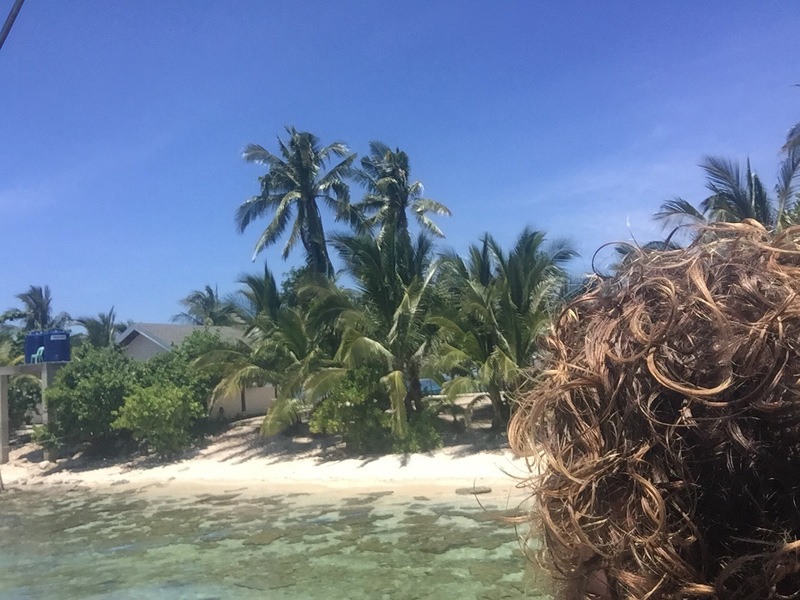 Over the duration of the 5 days in Malapascua she did 4 early morning thresher dives (seeing them on three occasions), a drift dive, an under island tunnel, a coral wall, and a macro, all new experiences for her. It’s safe to say for a new (ish) diver this will be truly unforgettable, and I couldn’t imagine a better way for her to celebrate her 30th (30m under water away from me haha). 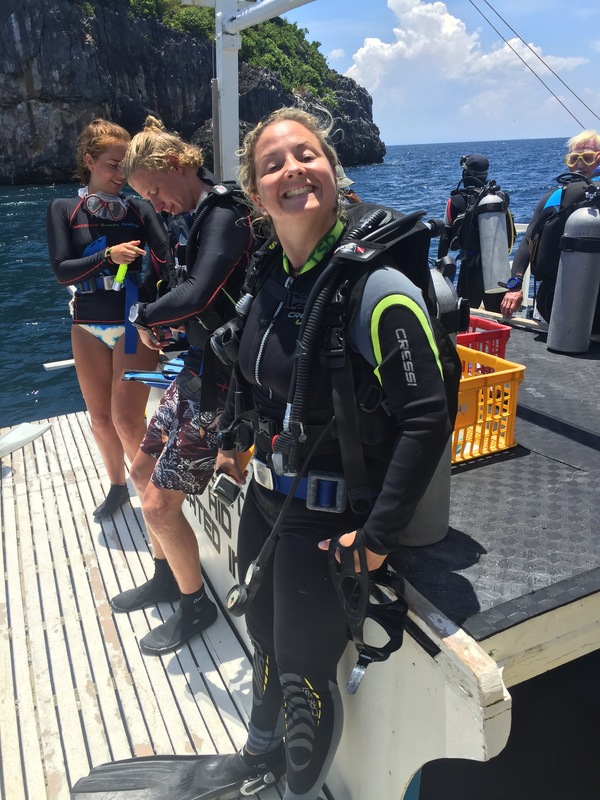 Big thanks to Angie and Eugene for paying for her dives, a massive thanks to TSD for all their awesome help and support, and paying for her equipment! Even as someone who doesn’t dive, I absolutely loved it here. Finding such a chilled out spot that was constantly so beautiful was just what we needed after such shite weather up north. I’d 100% go back, and Kelly obviously would too. That’s a really cool idea giving each other complete control over a plan for a country. 🙂 And what an amazing place! I’ve never heard of it before. Glad you had a great time for Kelly’s birthday.